THE ÜBER BOILER IN ACTION - Marco Beverage Systems Ltd. Grind profile – with a little help from Mahlkonig’s Tanzania. 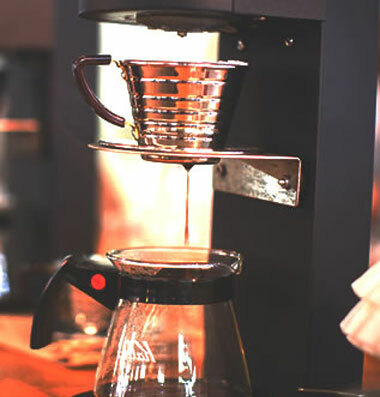 I think of particular interest will be the precision on temperature delivery on the French Press (less than 0.1°C variation) and on Chemex (less than 0.3°C variation over a 3.5 minute pour). Delay in temp-read out when boost is pressed (approx 10 seconds). Overshoot in temperature once boost is released (approx 1.4°C). Enough talk, take less than 4 minutes, have a look and enjoy a perfect pop song! Please e-mail or leave your comments. If you’re going to the WBC in Atlanta, please drop by Intelligentsia’s booth or the WBC Brew Bar, where the Über Boiler will be in action. I would love to get feedback.